A former soldier has confessed to the killings of Slovakian journalist Jan Kuciak and his fiance last year, according to Slovak media reports. The couple, both 27, were gunned down in their home near Bratislava in February 2018. The ex-military man had already been arrested with three other people for the double murders, but his role was originally believed to be that of the driver. 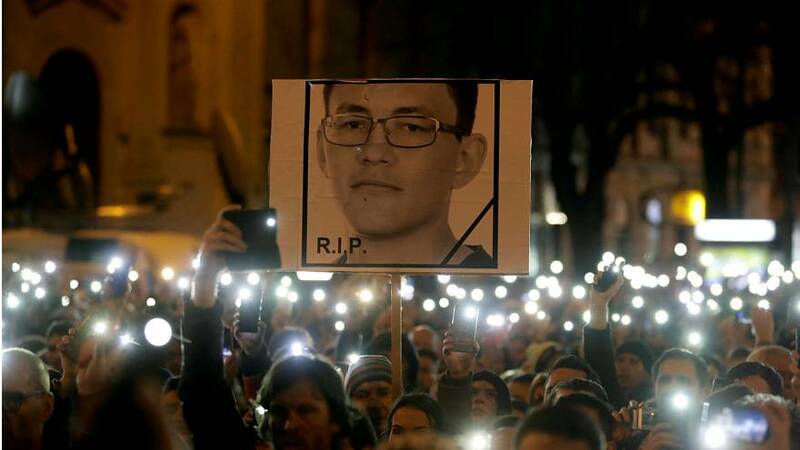 READ MORE: How has journalist's slaying changed Slovakia? Several Slovak news sources, including aktuality.sk (Kuciak's former employer), say the ex-soldier admitted to shooting the pair after several hours of interrogation. Police were then spotted conducting searches on Friday near the town of Kolarovo and were believed to looking for further evidence based on new information they received from him. Kuciak was known for his reporting on fraud cases between high-profile politicians and businessmen. His last story for aktuality.sk investigated transactions involving firms linked to businessman Marian Kocner, who has since been charged with ordering the murders. The deaths shocked Slovakia, sparking enormous protests and heaping pressure on the country's government to do more about corruption.